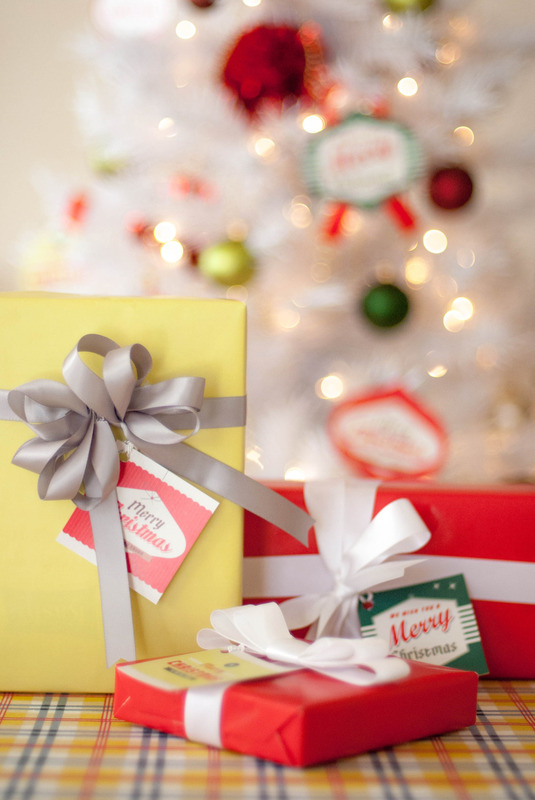 This Retro 50’s Style Christmas Party harkens back to the days when housewives across America brought our their best cut-glass serving pieces, fine china and silver, baked all day, and invited friends and neighbors over to celebrate the season. 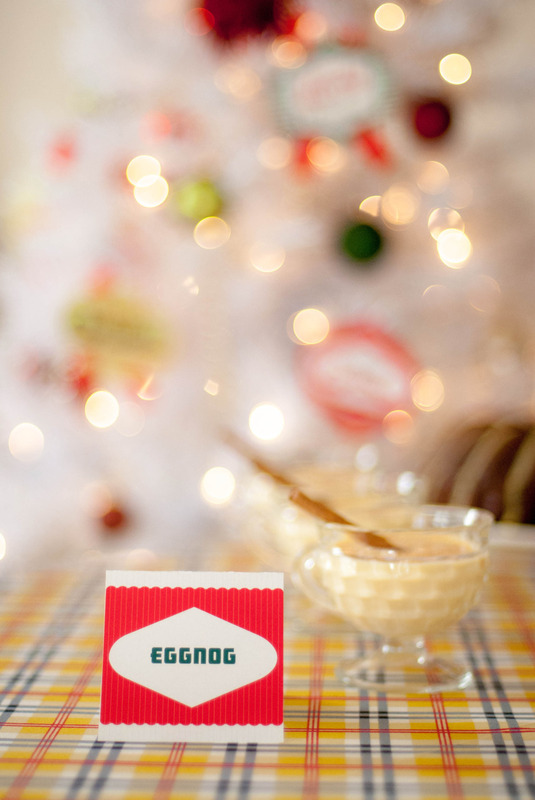 It was a social time, a time to show off your inner hostess, eat delicious food, drink lots of eggnog and enjoy great company! For me, this party is a reminder of my grandparents. My grandmother in particular, the perfect hostess. 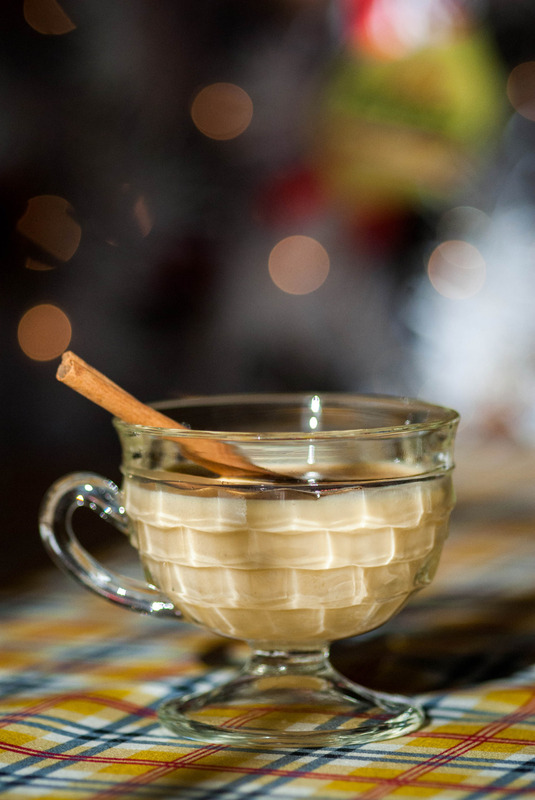 With their Americana patterned glass, polished silver, food galore, my grandfather’s special recipe for egg-nog and a huge bowl full of sherbet punch. Little crystal dishes scattered about the house filled with delectable sweet items. This was something we saw each and every holiday, Christmas being the most special of occasions. 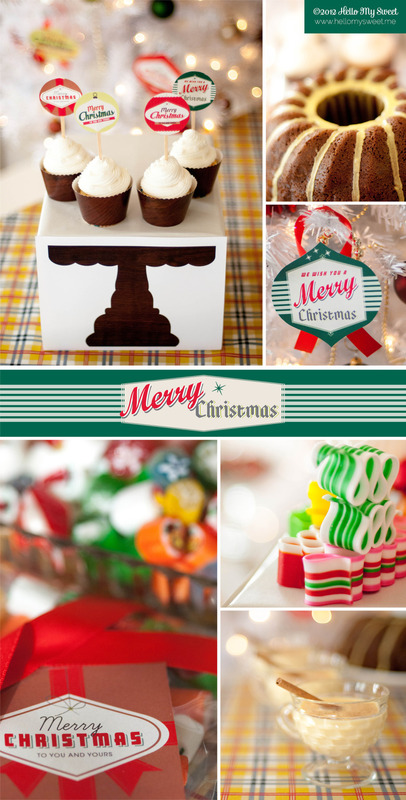 This Retro 50’s Style Christmas Party features those very same elements. We included old-fashioned gingerbread cake, classic vanilla cupcakes, various old-fashioned hard candies, egg-nog and the holiday staple fruitcake. The simplicity of this spread is that you could easily purchase all of the items on the table for a last-minute gathering. Or if you are the planning and baking type, you have a variety of cakes to satisfy your talent. 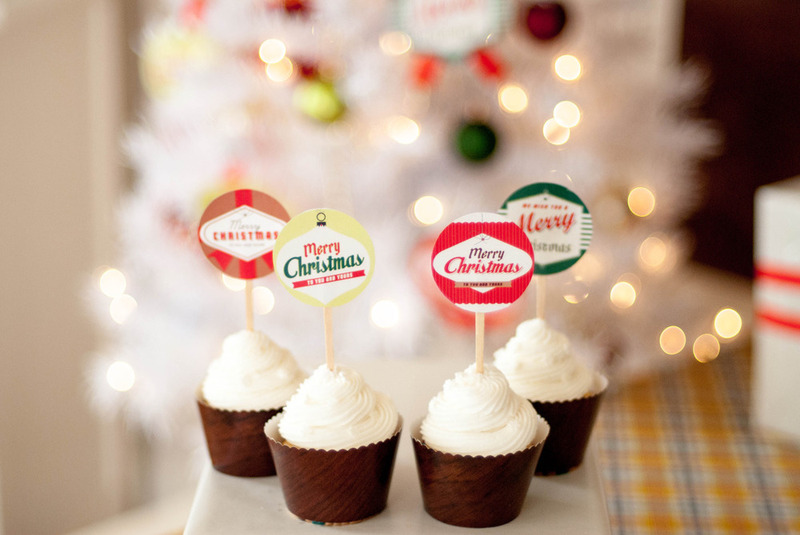 Our Retro 50’s Style Christmas Party printables pictured are FREE to download and use for your family gathering. Download the PDF file HERE and print whichever pages you need to create the perfect Retro 50’s Style Christmas Party for your family gathering this year! Thank you for reading us this year!